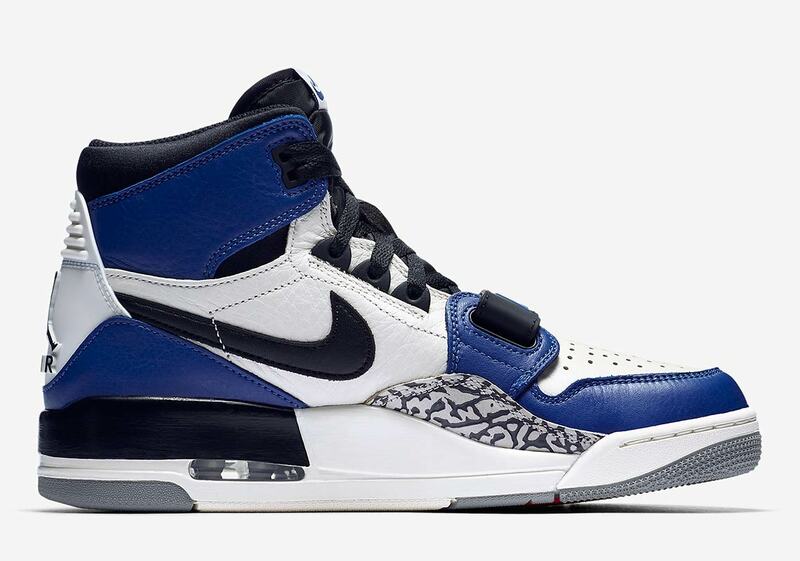 After months of previews and anticipation, the day is almost upon us. 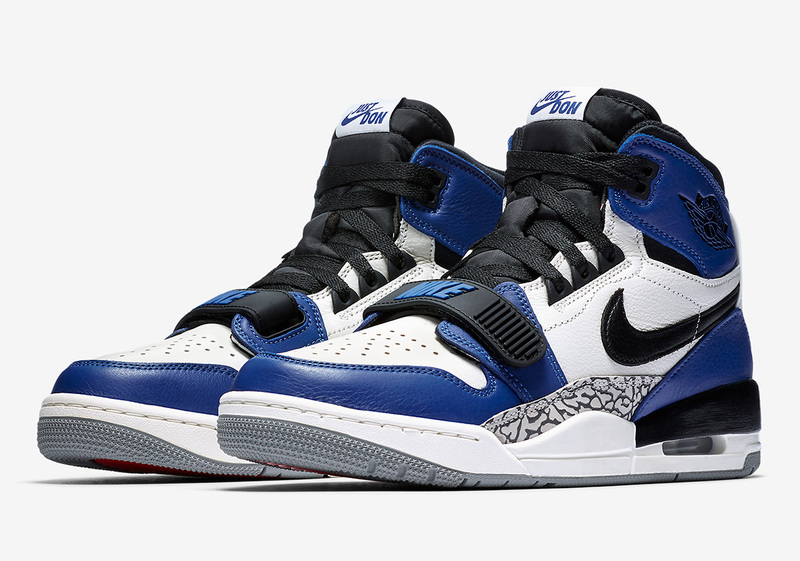 Don C‘s Legacy 312, a hybrid of the Air Jordan 1, Air Jordan 3, and Alpha Force Low is set to arrive in five colorways, one of which is this “Storm Blue” iteration. 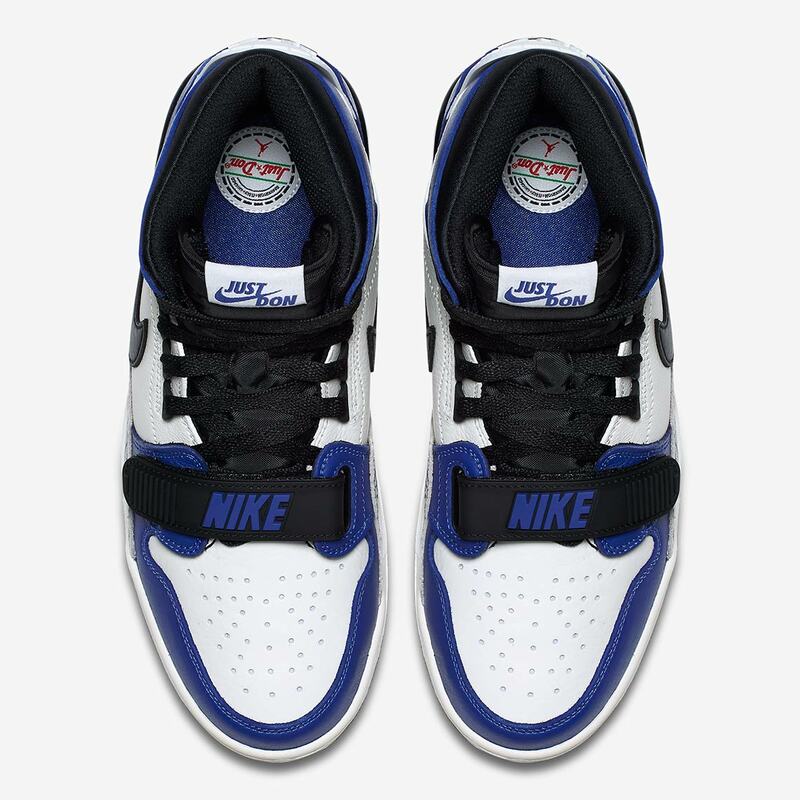 Featuring colorblocking similar to the “Game Royal” Jordan 1s, the shoe’s upper utilizes a white leather base with blue leather overlays. 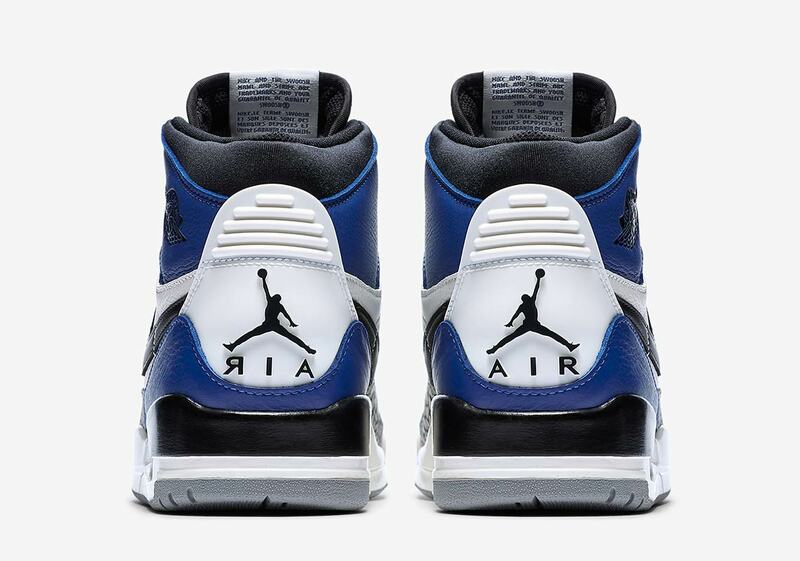 Black accents arrive via the swoosh, throat, tongue, and forefoot strap, while the tongue’s standard Nike Air patch instead boasts Just Don/Nike branding. 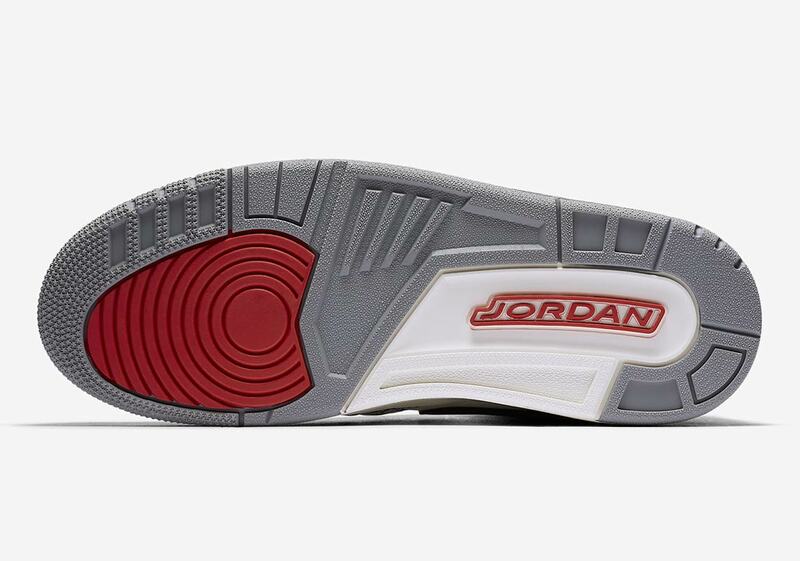 A small swatch of grey elephant print arrives on the midfoot, and a Jordan 3-style heel tab complete with a Jumpman finishes off the upper’s look. 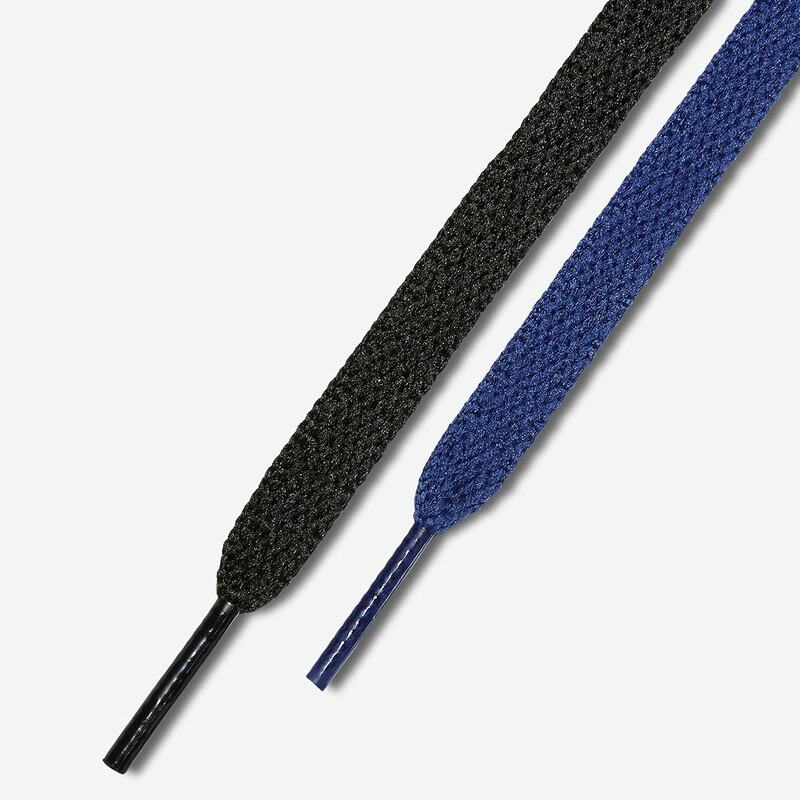 A two-tone white and black midsole and classic grey outsole round off the collaborative silhouette, and an embroidered Just Don hit on the insole finalizes the branding. 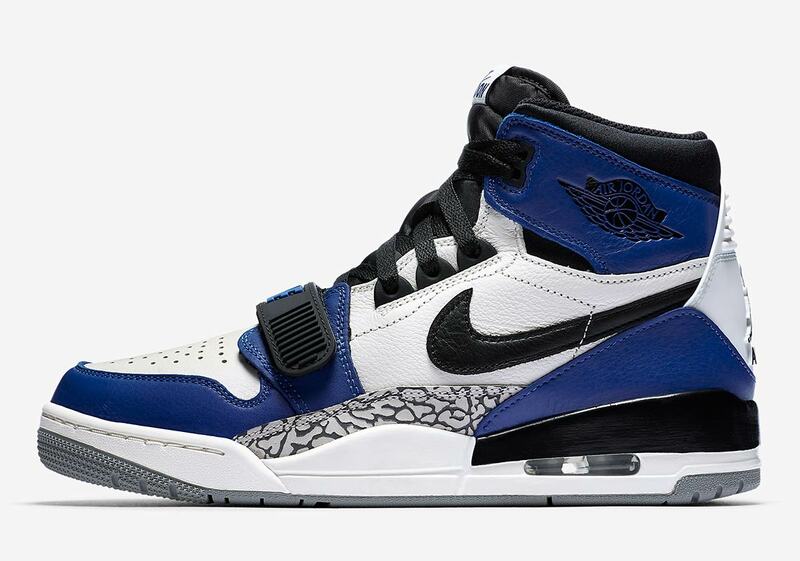 Look for these “Storm Blue” Legacy 312s to arrive on Nike.com July 14th with a retail price of $160 USD.